(CNS): The Department of Planning has partnered with the local building industry to present a new three part free lecture series focusing on best practices, particularly roof trusses, framing and uplift connections installation. Officials from the planning department said the series presents an invaluable opportunity to construction firms to learn more about best practice for building high-wind resistant roofs. “One of the main duties of the Department of Planning, is ensuring the building of robust and more specifically high wind-resistant structures,” said Director of Planning, Haroon Pandohie. 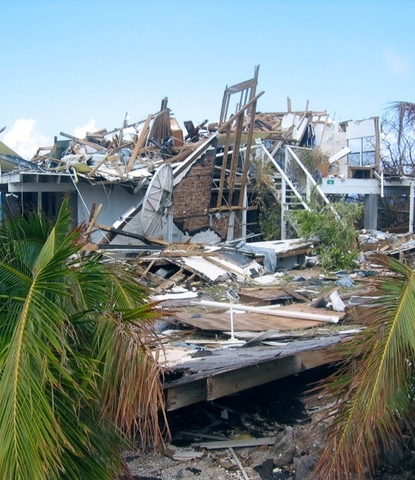 The free lecture series consists of three events: The first, scheduled for 13 June will address some common industry misconceptions around trusses, roof framing, uplift values and hurricane anchors. This workshop will also highlight appropriate design and installation techniques for trusses and roof framing; cover the required uplift values and help with the selection and installation of appropriate hurricane anchors. The second is planned for 27 June in partnership with USP and Cox Lumber. Entitled USP Wind Design and Connections Seminar this tutorial will cover a range of topics including how load values are achieved; high wind probability and design wind speeds and code requirements. Participants will also be presented with several case studies on past natural disasters. The final lecture on 17 July will be facilitated by Simpson Strong Tie and AL Thompsons, it will focus on wind resistant design and construction. Other topics include design criteria updates, effects of wind and wind damage, roof fastening and anchorage as well as special and wind resistant connectors. “This is an invaluable opportunity to get updates as well as learn more about industry best practices when it comes to building high-wind resistant roofs. I therefore encourage as many members of the construction industry to attend,” Pandohie added. People can register for the lectures series or individual workshops by e-mailing jacqueline.bleicher@gov.ky or calling 244-6574. Registration for the first workshop closes Friday, 8 June 2012. Registration for the final workshop can be done online at www.strongtie.com; or by calling Lisa on 972 548-0924; or email lchumbley@strongtie.com. Registration deadline for this event is 13 July 2012. Registration deadline: 8 June 2012. Registration deadline: 22 June 2012.